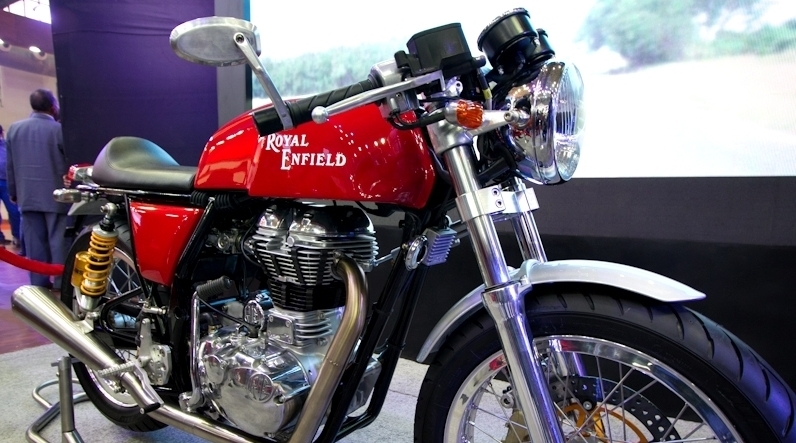 Royal Enfield’s Café Racer based on UCE500 to be launched in 2013! 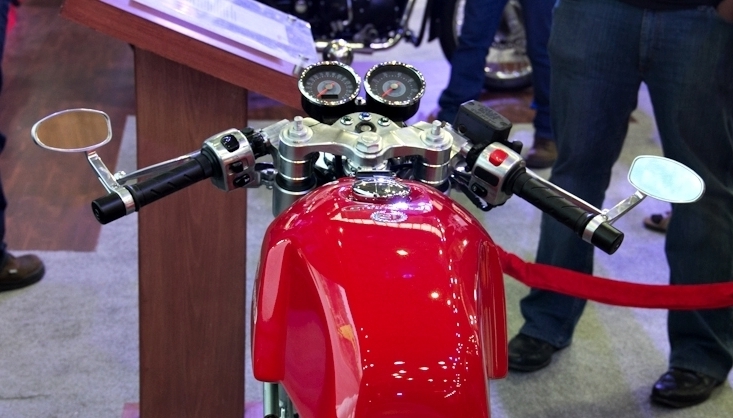 Royal Enfield showcased this concept bike in the 2010 Auto Expo and we see it showcased again. This is one concept that has been able to generate a lot of interest amongst the young and the old. But it was unclear if the concept will ever make it into production, as a similar concept was shown back 2010 but has not seen the light of the day. But putting rest to all speculation Kevin Mahoney from Classic Motorworks who are the official OEM distributor for Royal Enfield Motorcycles in the US confirmed that Royal Enfield Cafe Racer should be in production by 2013. So there is no need to hunt for a customizer or spend extra on a Café Racer kit. All you would need to do is go to the nearest RE showroom and book your Café Racer motorcycle. Features of Royal Enfield Cafe Racer include classic rear view mirrors, scooped out and sculpted tank, a lot of chrome, clip-on handlebar, retro design for taillights and headlights, exhaust that reminds of the era gone by, humped leather seat, and much more. 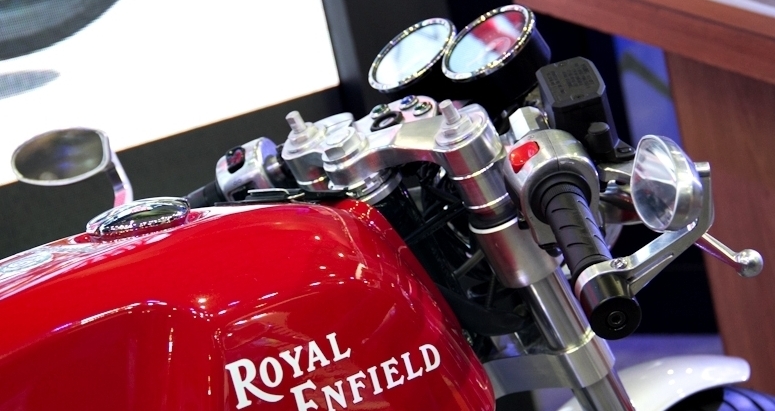 Powered by the 500cc twin-spark unit construction design (UCE) power plant might possibly see modifications to accomodate the fact that the weight of the bike is considerably less than Royal Enfield's existing lineup. Racing DNA unleased bt 4m Royal Engfield Side!!! Truly a dream, for it never lets you sleep. cafe racer looks awkward to me !! this is ma love﻿ at first sight........she was just amazing to look at the expo....waiting..